The test falls short in nearly every way. This map from GPS Origins pinpoints your ancient ancestors' supposed migration patterns. For those interested in the more distant eras of their family’s history, GPS Origins’ DNA test kit might sound especially appealing. 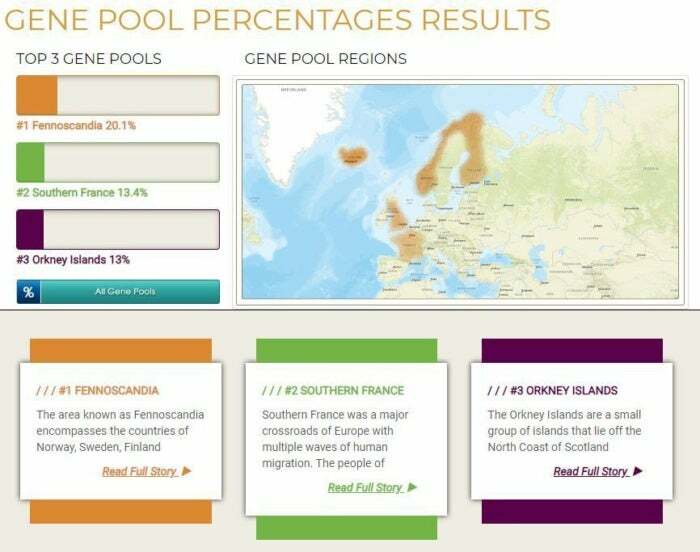 Not only does the company’s reports show your ancestors migration patterns and how that movement led to your more recent relatives’ origins, but they also go so far as to pinpoint precise geographic coordinates associated with your genes. There’s just one big problem with GPS Origins’ approach: Genetics experts have major concerns about the accuracy of the test. Archaeology professor Andrew Millard of Durham University also found fault with the research that GPS Origins is based on, concluding that “the mathematical methods described are incoherent, the supplementary data is not that used to create the figures or equations in the paper, and the supplementary code does not implement the methods described. The paper is methodologically unsound and not reproducible." I decided to take the test myself to see firsthand what the results were like. What I received was lackluster, bizarre, and overpriced. This is what comes in GPS Origins' box. Of all the DNA tests I’ve taken so far, GPS Origins’ packaging is the least impressive I’ve seen. Other tests provide one or two vials with preservation liquid for the DNA. 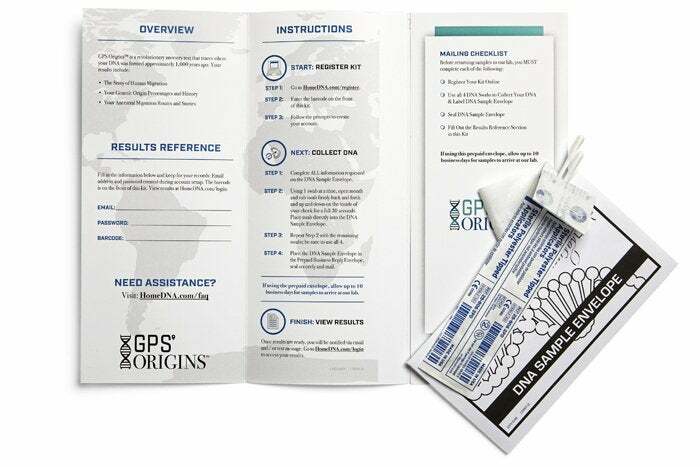 GPS Origins just supplies a paper envelope to put the mouth swabs in--which, by the way, look like plain Q-Tips. The company also makes you take four different mouth swabs instead of the usual one or two. Like other tests, you’ll need to activate your kit online so you can receive your results. You can find the barcode to activate it on the envelope. Once the results are ready, you’ll receive an email. If you use its prepaid return mailer, GPS Origins asks that you wait up to ten business days for the sample to arrive at the lab. Then you’ll have to wait another 4 to 6 weeks to receive your results. The first section, Gene Pool Percentage Results, presents a percentage breakdown of your estimated ethnic heritage. You can hover over your top three results to change the map highlights, or click on the ethnicities to learn more about them. For the most part, this information is somewhat similar to that you’d get from competing services. But the whole design of the website looks dated and crams sometimes confusing information on a single page. My results were also wild. Apparently I’m 9.8 percent Indian, 2.7 percent South American, and 2.1 percent Northwestern African. My top regions were Scandinavia at 20.1 percent, Southern France at 13.4 percent, and the Orkney Islands in Scotland at 13 percent. These results are a far cry from the information I’ve gotten from other tests. The ethnic estimate panel from GPS Origins. The second section, DNA Migration Routes, is GPS Origins’ claim to fame. This is where you learn the geographic areas that your ancestors supposedly moved across. GPS Origins presents this information in a map with six points: three for your father, and three for your mother. The results, however, don’t tell you which points align with your father’s side, and which is your mother’s side. That’s because GPS Origins only tests your autosomal DNA and not your father’s yDNA or your mother’s mtDNA. You can learn more about the routes your ancestors took by clicking on each color-coded route. (No meaning is given for the colors used.) This updates the “migration story,” which is told through text that shows up underneath the map. GPS Origins doesn’t allow you to do much else, though, at least you can download your raw DNA data and upload it to other services for processing. Because GPS Origins’ test is resold by various companies, you can find the test for anywhere between $99 and $199. The HomeDNA test I took costs $199, which makes GPS Origins’ dubious results seem especially overpriced. Tests like 23andMe and Living DNA essentially provide what GPS Origins does and more for the same price without similar criticism from geneticists. 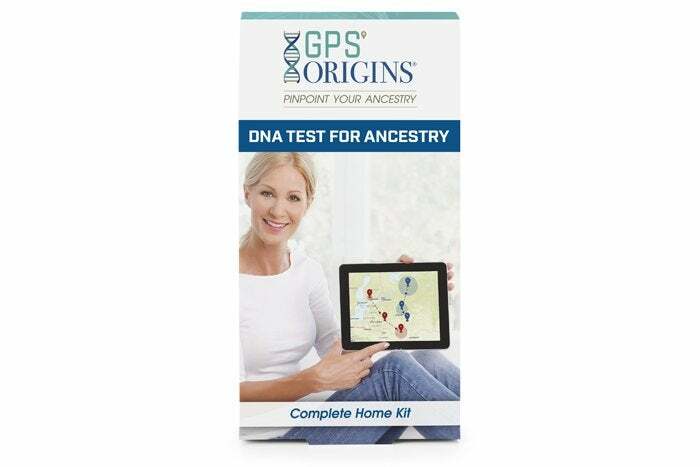 If you’re looking for a DNA test, then I can’t recommend GPS Origins. 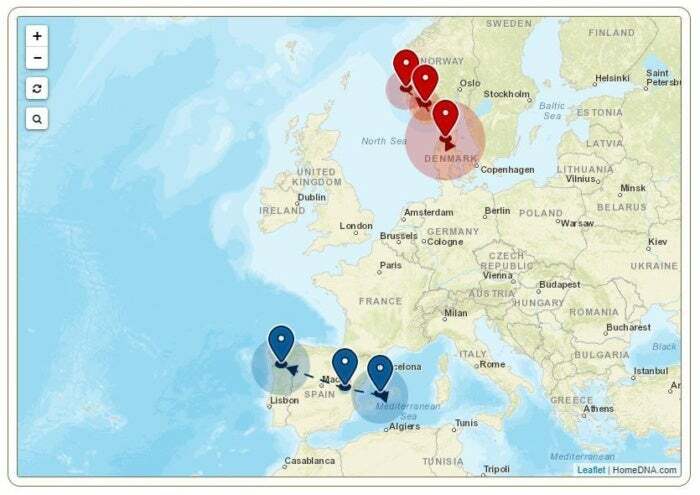 GPS Origins makes the incredible claim of finding highly specific regions your ancestors lived and migrated between. Unfortunately, the science behind the results is dubious, the test is overpriced, and the entire presentation is unpolished.